UPDATED: Thu., Aug. 23, 2018, 6:37 p.m.
REGINA, Saskatchewan – Ariya Jutanugarn birdied five of her last eight holes for an 8-under 64 and a share of the CP Women’s Open lead Thursday at rain-softened Wascana Country Club. The soft conditions didn’t last long on the greens. The Thai star won the event two years ago in Calgary. She’s tied for the tour victory lead with three, winning the U.S. Women’s Open, Kingsmill Championship and Ladies Scottish Open. “There was no wind today so I was able to attack the pins,” she said through a translator. “I’ve been playing well for the whole year and now I’m scoring,” Yin said. Henderson had eight birdies – six in a seven-hole stretch from the fourth to the 10th – and two bogeys in her afternoon round. Ko won in 2012 at Vancouver Golf Club at age 15 to become the LPGA Tour’s youngest winner and fifth amateur champion. The New Zealander successfully defended her title as an amateur in 2013, winning by five strokes in Edmonton. In 2015, back at Vancouver as a pro, she beat Stacy Lewis in a playoff. 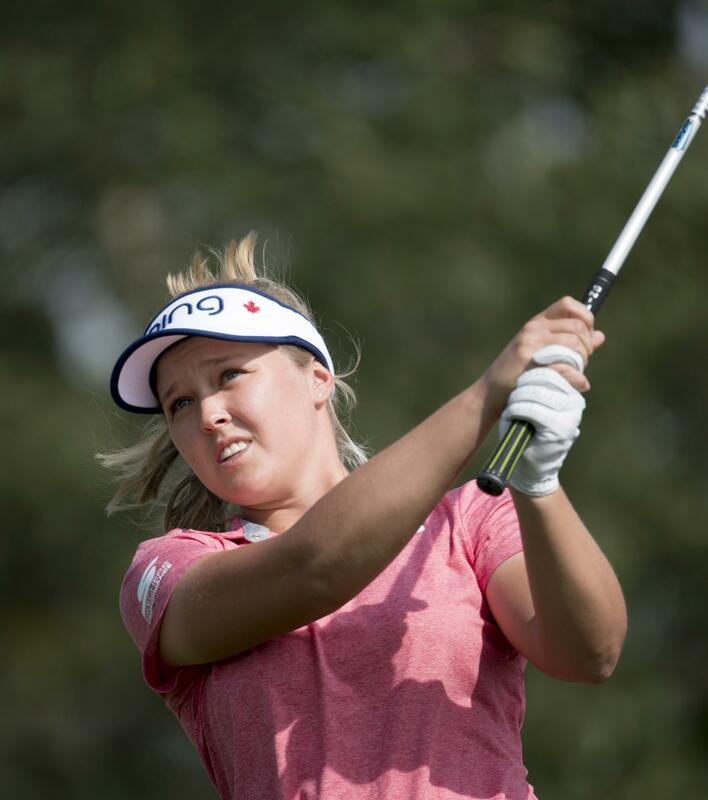 Paired with Jutanugarn, Korda birdied six of the first eight holes, then played her second nine – the front nine at Wascana – in even par with two birdies and two bogeys. Lexi Thompson opened with a 72, playing alongside Ko and Women’s British Open champion Georgia Hall (68). Winless in more than a year, Thompson tied for 12th last week in Indianapolis after taking three weeks off for emotional and mental fatigue. Published: Aug. 23, 2018, 6:30 p.m. Updated: Aug. 23, 2018, 6:37 p.m.